Veeam Managed Backup Portal released! 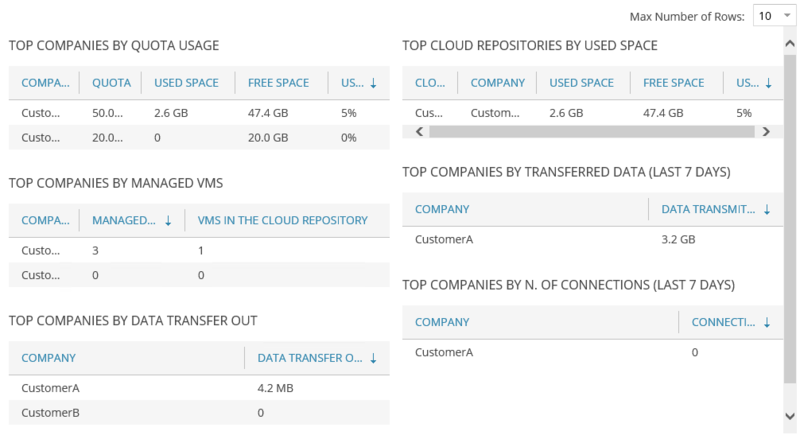 Veeam Managed Backup Portal for Service Providers is generally available … And FREE! At VeeamON 2015, we announced a new solution called Veeam Managed Backup Portal for Service Providers. The feedback we are receiving is overwhelming. In the meantime, we worked hard on releasing a technical preview. All of you who have worked with this preview and gave us feedback, thank you very much! Today, we are happy to announce that Veeam Managed Backup Portal for Service Providers is generally available and ready for you in the Microsoft Azure Marketplace! And we have one other surprise: We decided to make it FREE! We have said it before, and we’ll say it again … Today’s IT world is changing rapidly. For those service providers, resellers, partners and integrators who want to extend their business offerings to their customers, Veeam Managed Backup Portal for Service Providers delivers a business-in-a-box to quickly and easily deploy new business offerings and enter the cloud era while eliminating the known pains such as a lack of resources, experience, infrastructure requirements and many more. With this solution, you can use your extensive knowledge of Veeam solutions and offer added value to your customers by managing and monitoring their on-premises infrastructures and offering hosted backup repositories through our well-known and popular Veeam Cloud Connect technology. Managing new and existing customers should be as easy as possible for the service provider as the customers themselves. In a matter of minutes you can start managing your customers. An easy-to-use and straightforward wizard will onboard new customers. After that, your customer (or tenant) can add additional users to its subscription to give access to the tenant portal based on defined rights. There is no need for configuring a virtual private network (VPN), no firewall configuration or creating VLANs on your side. Everything works over https and uses the same gateway technology of Veeam Cloud Connect. You can also easily define custom plans per customer to make sure that the delivered service is built on the needs of your customer. Speaking of billing and invoices, if you are in the beginning stage of your new business, integrating billing into your existing systems or building an entirely new system aren’t the easiest tasks to do. Our out-of-the-box billing system is simple and flexible and you can start charging your customers from the very first minute. 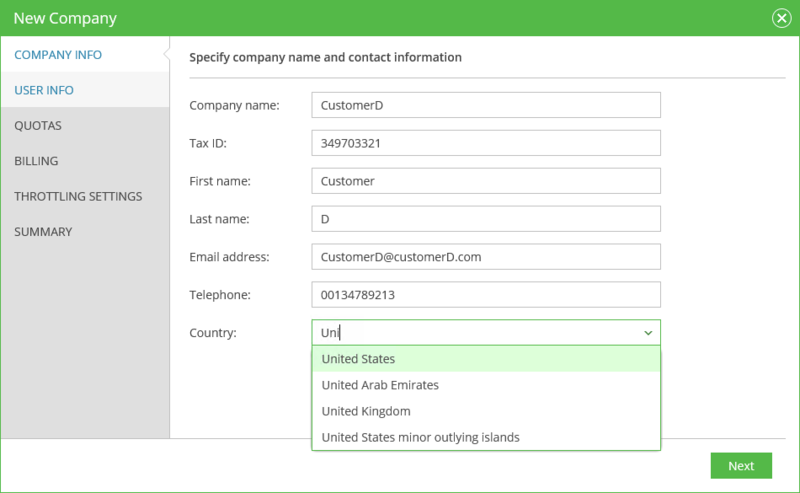 Depending on the SLA you agreed upon with your customer, you will be able to specify settings, such as invoice details, invoice summary only or a detailed report of their usage. On top of that, you will be able to create a custom schedule to automatically send those invoices to your customers, and you can even customize the invoices with your company logo. The easy-to-use remote monitoring and management capabilities will make it easy for you to use your extensive knowledge of Veeam and offer added value to your customers. You can detect issues with their environments, see if all jobs are running as expected, and even start, stop and retry those jobs. This will save a lot of time for your engineers because they won’t need to go on site, but they also won’t lose time setting up VPNs, which will result in faster time to resolution, being beneficial for both you and your customers. Service providers can also download the logs to troubleshoot further. Additionally, the service provider can see everything per tenant (and per tenant’s location) and not only look at alarms and jobs, but also at the entire Veeam Backup & Replication™ infrastructure. And there is much more: Dashboards give you overviews of intelligent information based on customers, growth and much more. Each tenant or customer has also his or her own portal, which you can customize with your own logo and color scheme. He or she can create additional users and give them specific rights depending on their roles in the company. The tenant has self-service monitoring and configuration available for their environment. Just like a service provider, a tenant has dashboards with valuable information and can look at their jobs and perform related tasks. Tenants also have a full overview of all protected virtual machines in their environment, including the amount of restore points and many more details. If the tenant is also using a service provider’s Backup as a Service offering, he or she can see the quota that used already. The tenant also has an overview of invoices is visible, including whether they have paid already or not, just like the service provider can see. Last but not least, the tenant has a great overview of well the environment is protected against a potential disaster. Besides remotely managing and monitoring your customers’ environments you can take this one step further and offer Backup as a Service. 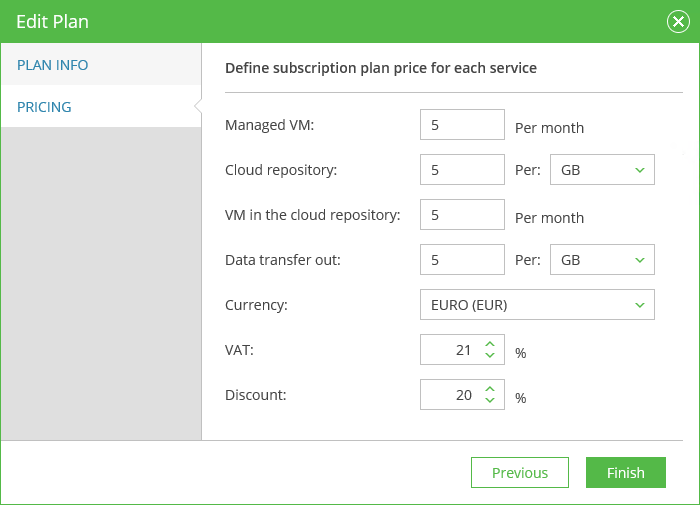 Veeam Cloud Connect for backups is fully integrated into this solution, offering you, another possibility as a service provider to deliver additional benefits to your customers! Veeam Managed Backup Portal for Service Providers, available in the Microsoft Azure Marketplace, is designed to simplify your steps in the cloud era, building new businesses and revenue streams. With easy customer onboarding, out-of-the-box billing, remote management and monitoring to monetize your knowledge on Veeam solutions, and full integration with proven Backup as a Service technology, it’s easy to acquire new customers, offer better services to current customers and build new revenue streams in a matter of minutes. Step 1: Apply for the Veeam Cloud & Service Provider program. It’s FREE! Step 2: Once approved, get your free rental key. Step 3: Provision within Microsoft Azure. Join me for the VeeamLive webinar, "Launching a Backup Service Just Got Easier," on April 5, 2016.